Please Note: Subject to change. Please visit the website for up-to-date schedules. PLEASE PRINT THIS BEFORE YOU ARRIVE. There are no copies available onsite. WRISTBANDS – Please make sure that all readers and chaperones have their wristbands before they arrive onsite. Remember: The CHAPERONE’S CELL PHONE NUMBER MUST BE WRITTEN ON EACH READER’S WRISTBAND. DO NOT WRITE THE SCHOOL NUMBER. If a child is lost, a staff member will need to get in touch with you ONSITE! Please have the number written on the outside of the wristband. For purchases made after May 1, you will need to pick up your wristbands on the day of the Festival. If you need to pick up your wristbands on the day of the Festival, they will be available at the Registration Table located at the information desk in the main lobby. If available, you will also be able to purchase extra tickets at the Harbourfront Centre Box Office inside the main building across from the Security Desk. ARRIVAL – We strongly encourage that you arrive between 9:30-9:45 as the formal events start promptly at 10 am. STUDENT PRESENTERS/SIGN CARRIERS – If you have presenters or sign carriers that have been selected to participate in the ceremonies, please make sure they check in 20-30 minutes before the ceremony behind the Concert Stage. Volunteers will check them in and they will meet with their authors and/or illustrators. Immediately after the ceremony the readers can be picked up at the same location. PLEASE ENSURE SOMEONE IS THERE TO PICK THEM UP IMMEDIATELY AFTER THE CEREMONY. ASL INTERPRETERS AT AWARD CEREMONIES (in English Only) – This year, we are happy to announce that ASL-English interpreters will be at the English-language award ceremonies at the Toronto Festival on May 14 and May 15. BUSES – Please ensure that every chaperone is aware of their bus number AND their bus driver’s cell phone number. The buses are lined up for 10 city blocks and having the number will ensure that the bus can pull right up to the front to pick you up in a timely and orderly fashion. Please note that once you arrive onsite and before you off board the bus, a Festival staff member or volunteer will be boarding your bus to give you important information to ensure that everyone has the most enjoyable time. PARKING – If you are arriving by car there is parking underground at Harbourfront. There is also parking on Rees Street, which is the first street west of Harbourfront Centre. It has street-level parking located on the north side of Queens Quay West, just west of Rees Street. Enter off Queens Quay West at Green P sign. PUBLIC TRANSIT (TTC/GO TRANSIT) – If arriving or leaving by TTC or GO Transit, please ensure that you leave lots of time to get to the Harbourfront Centre. There are often delays beyond anyone’s control and the OLA wants to make sure that you thoroughly enjoy your Festival experience. For more information, please visit the TTC’s website or GO Transit’s website. You may also visit Harbourfront Centre’s website. Please be mindful of vehicles and obey traffic signals when crossing at intersections to get onsite. AUTOGRAPHING – Nominees will be autographing books and the official Forest of Reading Festival of Trees Autograph Pamphlet only. You must download the pamphlet BEFORE the Festival from the Festival website under SIGNINGS. There will not be any available onsite. Please note: there is a TWO BOOK LIMIT PER AUTHOR/ILLUSTRATOR. Please abide by this request. BAGS/KNAPSACKS – There will be events for kids to participate in and items that may be given away throughout the day. We encourage participants to have a bag to carry their items in if they receive any free books or do crafts. If possible, please label each reader’s bag with his or her name and school/library. CAMERAS – There will be many opportunities for photos throughout the day. We encourage everyone to take lots of pictures, as this is a day you won’t want to forget. PENCILS/PAPER FOR WORKSHOPS – Some of the activities will require that readers have pencils and paper to participate. Please encourage your readers to come prepared. All workshops that require pencils and paper will mention it in their description. SUNSCREEN/RAIN WEAR – The Festival of Trees will be happen rain or shine. Please ensure that your readers have enough sunscreen and anything else necessary to protect them from the sun. If it is raining, they will need to walk through the uncovered areas to get to different activities, so please strongly encourage that everyone is prepared. The temperature can often be 10 degrees cooler at Harbourfront Centre, near Lake Ontario. Please make sure your readers are dressed warmly, even if the sun is shining. ACCESSIBILITY – The Harbourfront Centre is an accessible venue. For more information, please visit the Accessibility webpage on Harbourfront Centre’s website. This year, we are happy to announce that ASL-English interpreters will be at the English-language award ceremonies at the Toronto Festival on May 14 and May 15. If you have any questions or concerns ahead of the event, you may contact Harbourfront Centre staff or OLA staff. If you have any concerns at any time onsite, please come to the Operations/Command Control in the West Bays. Boxcar Social: inside the Harbourfront Centre, near the Lakeside Terrace. EMERGENCIES – An emergency plan is in place at the Festival of Trees in the event of an emergency. Should you have any questions or concerns or if you wish to request a copy of the Festival of Trees Emergency Plan, please email Meredith Tutching. If you experience any issue or emergency while onsite at the Festival, please speak to one of our staff members or volunteers who will be wearing red vests. If you need a contact at Harbourfront Centre, phone the INFO DESK at 416-973-4000 and hit #2 to get to the INFO DESK. Alternatively, only on the day of the event, you can contact Meredith Tutching, Director – Forest of Reading, at 416-917-8355. THIS NUMBER IS FOR EMERGENCIES ONLY. FIRST AID – There is first-aid at the security desk inside Harbourfront Centre. If more care is needed they will contact 911 or another health professional based on the situation. INFORMATION/LOST and FOUND – If one of your readers happens to get separated from the group, please make sure they are aware of where the OPERATIONS/COMMAND CENTRAL is (where the red balloons) in the West Bays. There will be an OLA Staff member there at all times. If your reader loses his/her group we will be able to contact you by the cell phone number that is written on their wristband. This is also where the Lost and Found will be. Please note that the OLA, International Festival of Authors, Harbourfront Centre, and its volunteers/staff are not responsible for lost or stolen items. MAP OF THE EVENT – Please see the map of the events can be found on the website and mobile app. Details will be posted around the site so people know what is going on at each venue, but please be familiar with the activities onsite. It is going to be busy and exciting so we want to ensure that everyone gets the most out of their Festival experience. ONSITE STORE – The nominated books and Forest/I READ CANADIAN products will be for sale onsite at the Festival. Price lists are on the Festival website so that attendees are aware of the prices before they arrive and can bring the correct amount of money. WORKSHOPS/PROGRAMS – Workshops at the Festival are a wonderful experience for all of those attending. Please be mindful of the fact there is limited space and seating will happen on a first come first served basis. The rooms the workshops/programs are being held in have maximum capacity limits. Please talk to your readers before, or en route, to find out exactly what they are interested in. The events are all “free-flowing,” but we do encourage your readers to stay at a session once they have chosen that one. If they wish to move, please make sure they do so VERY quietly and do not disrupt the person leading the program or the other participants. Read through this kit or visit the Festival of Trees website (Chaperone Webpage) for detailed information on your Festival of Trees day. On the day of the event, please check the website or mobile app for the most up-to-date information, as the schedules in this kit are subject to change. Make sure you have your wristbands. You, your young readers, and chaperones MUST wear them onsite at all times. If you do not have wristbands, you will be turned away from the event. IMPORTANT: The CHAPERONE’S CELL PHONE NUMBER MUST BE WRITTEN ON EACH WRISTBAND. DO NOT WRITE THE SCHOOL’S NUMBER. If a child is lost, OLA staff will need to phone someone on site! Thank you for your cooperation! We encourage teachers/library staff/chaperones to plan out a “meeting spot” or a way of making sure readers can reconvene periodically throughout the day. The Festival of Trees will be happen rain or shine. Please ensure that your readers have enough sunscreen and anything else necessary to protect them from the sun. The temperature can often be 10 degrees cooler at Harbourfront Centre, near Lake Ontario. Please make sure your readers are dressed warmly, even if the sun is shining. Please arrive between 9:30 and 10 am as the event begins at 10 am. 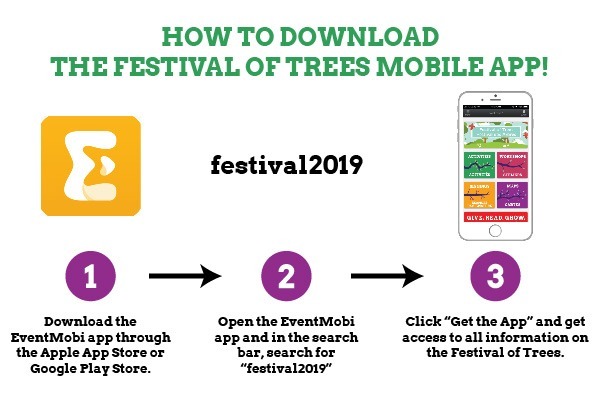 Get involved in all the activities at the Festival of Trees! It can feel overwhelming the amount of things to do at the Festival in such a short amount of time. We suggest that you talk with your readers and see which workshops and author autographing sessions they would like to do. Make sure to attend the award ceremony for your program, and visit all of our exhibitors, games, and activities. Workshops at the Festival are a wonderful experience for all of those attending. Please be mindful of the fact there is limited space and seating will happen on a first come first served basis. The rooms/tents the workshops/programs are being held in have maximum capacity limits. The events are all “free-flowing,” but we do encourage your readers to stay at a session once they have chosen that one. If they wish to move, please make sure they do so VERY quietly and do not disrupt the person leading the program or the other participants. If you have questions while onsite at the Festival, please speak to an OLA staff member in a red vest or visit the Operations Tent with the big red balloons – an OLA staff member will be there at all times during the event.